Gold Purple Shosa – No,No,Yes! Gold outside, purple inside. 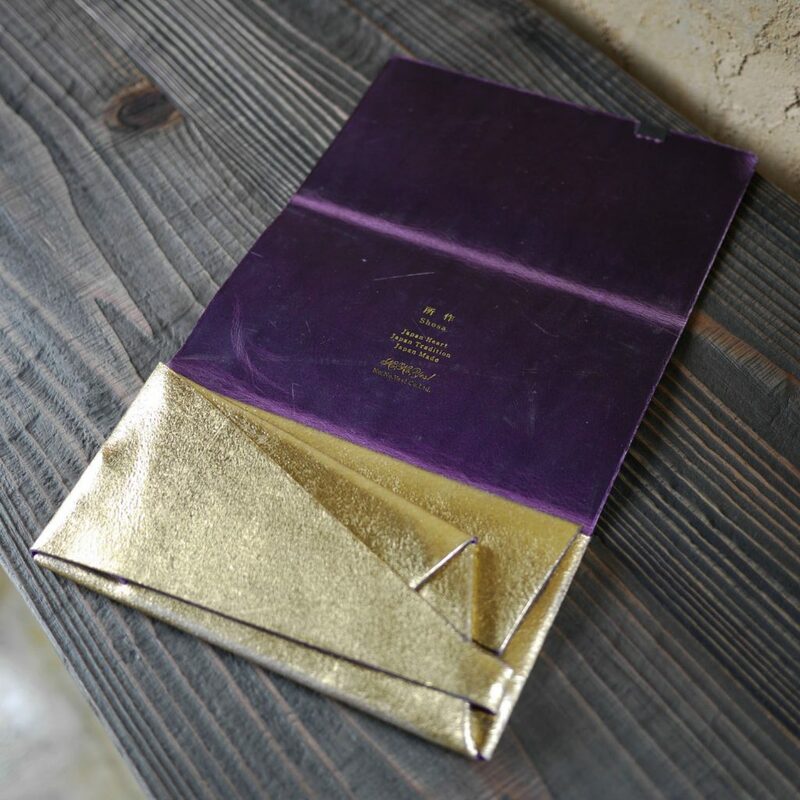 Japanese think gold and purple are noble colors been preferred by the aristocracy. Only the highest ranking government officials were authorized to wear robes of these colors, about 1,500 years ago in Japan.